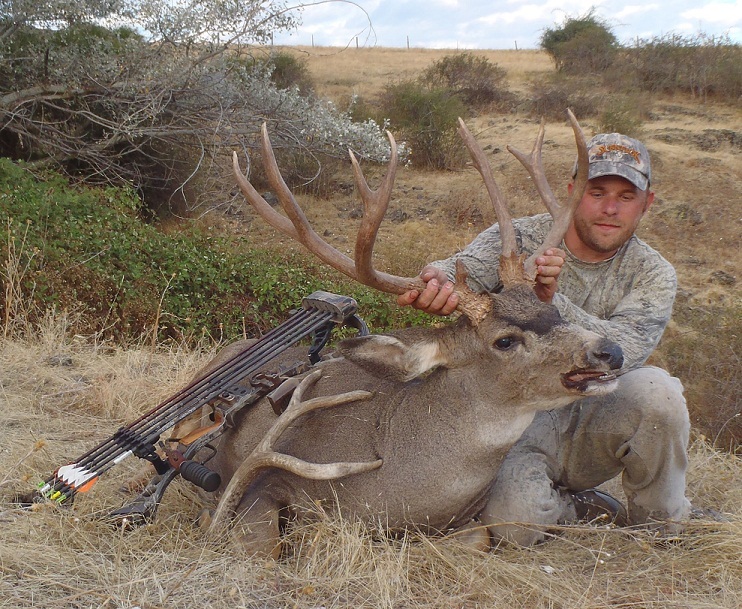 The Best Camera for Hunting has to be tougher and stronger than the average camera to ensure that it will be able to stand up to the elements and be ready to perform when it is needed. After much testing, researching, and reviewing, Artifact Outfitters has determined the best camera for hunting; read what we found below. Please go through the links on this page before buying any of the products we recommend to ensure you get the best price possible and so we get credit for sending you. Thank You! This Camera is one of the toughest on the market and has the best lens and photo/video quality of any waterproof camera. It is submersible to 50 feet, shock proof, dust proof, and freeze proof. The main feature (aside from the ruggedness) is the aperture setting that allows up to twice the light in for great picture day and night, and especially in between. 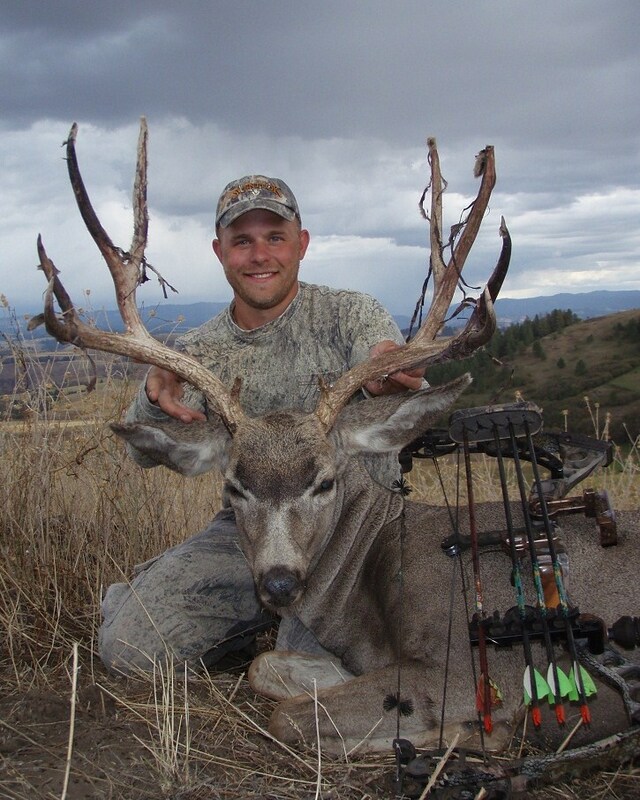 By far the Best Camera for Hunting, fishing, adventurers, and everything else that includes the outdoor elements..
Below is a digiscope video taken with the Olympus ToughTG-4 camera of a nice Mule Deer Buck filmed through a Nikon Prostaff spotting scope. I was about 800 yards away as the sun was glistening off his antlers. The keys to great digiscoping footage are a good camera with a lens located in the center of the camera, some type of adapter such as the ABS coupling mentioned above (expensive professional models are available for over $100), and a clear spotting scope that is the best you can afford (got to www.bestforhunting.com/best-spotting-scope-for-hunting to find one that fits your budget). The Olympus Stylus Tough series of camera earns the top spot as the best hunting camera for more reasons than just being tough, as the name implies. When hunting, a camera is going to have to hold up to the elements if you expect it work when it is really needed. 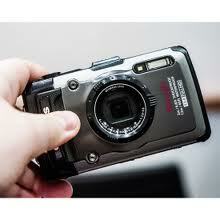 The Olympus Stylus Tough is water, shock, dust, and freeze proof, all qualities that a hunting camera should have. 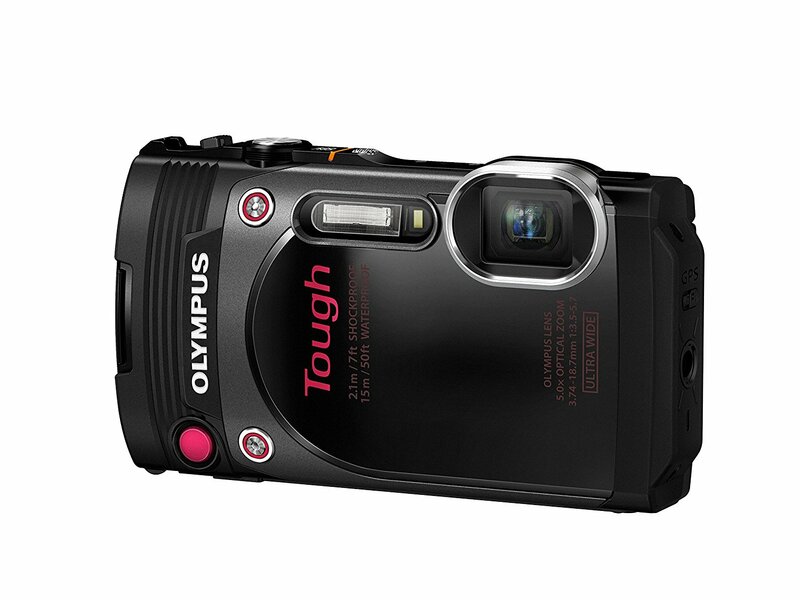 Size:The Olympus Tough series is the perfect size if you are looking for the best camera for hunting, or any other adventure sport. One thing to remember is that hunting and fishing are often done when you are by yourself. The Stylus Tough is the perfect size for standing it up on a rock or other uneven surface and using the automatic timer function. 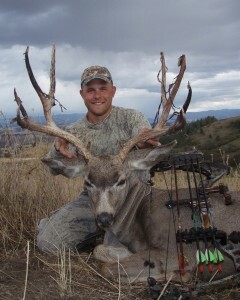 That is how I got the photo above of the Mule Deer as well the fishing picture on the right. That’s right, not only is this the best camera for hunting, it is also the best camera for fishing as well. Waterproof: Yes! 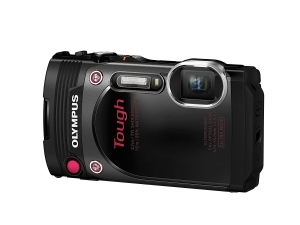 The Olympus Stylus Tough is waterproof, rated to be submerged to 50 feet. That means you can take photos and HD video while swimming, snorkeling, or even scuba diving. I went through many cameras while fishing before I finally broke down and bought my first waterproof Olympus. One of the best investments I have made. HD Video: (Check out the video below)The Olympus Tough series also takes amazingly clear video in 720p HD. I use it all the time to video animals at long distances through my spotting scope, this is called digiscoping. I have even used when calling in elk to close distances and the image/sound are definitely up to par. Of course it is not going to be video like a high dollar video camera and tripod, but it surely holds its own, especially when attached to a tripod. There is a convenient one push button on the camera that lets you record video without going through the menu. That way you can be videoing instantly when the moment counts and still images just wont do. 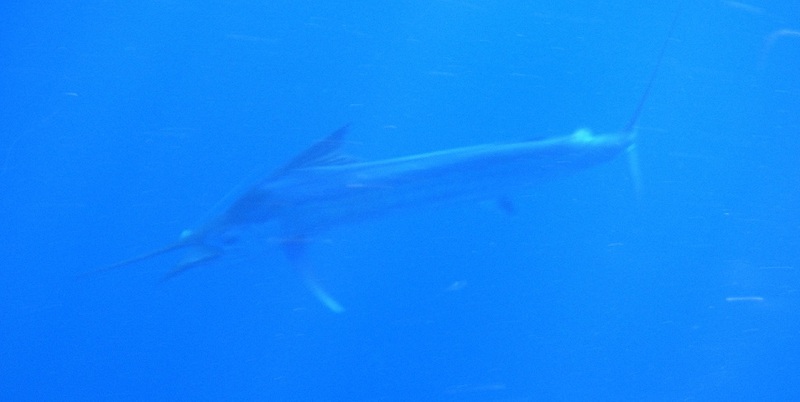 I took this underwater Sail Fish picture with an earlier model Olympus Stylus camera by simply submerging it and pushing the button. I have had it in under water many times with no problems. 100% waterproof! Here is a video showing the Olympus Stylus Tough being put to some tests at a trade show: Olympus Stylus Tough demo videoBottom Line: This camera has definitely amazed me and takes the cake for the best camera for hunting, hands down. I will never buy another camera that is not waterproof, and until I think something better has come along ( I will let you know here) I will need no other waterproof digital camera. I spend as much time outdoors as I can and the Olympus Stylus has surpassed all expectations and is incredibly easy to use and understand. I am confident that almost anybody who buys this camera will agree.